In this article, we will look into how you can determine your average daily energy expenditure and fat loss calories. 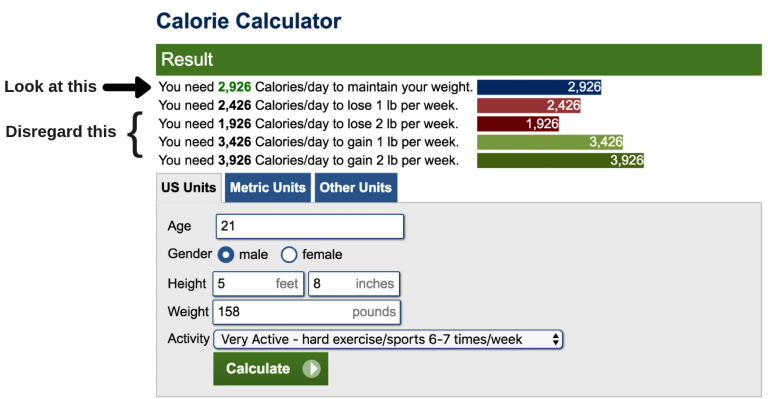 Now that you know how your body burns calories, it’s easy to see why online calorie calculators are not 100% accurate. A formula that takes a few general factors into account (e.g. weight, age, height etc.) cannot predict something as variable as your daily energy expenditure with 100% accuracy. But even though calorie calculators are not 100% accurate, they do provide a good starting point. Instead of just maintaining a random number of calories, you at least get close to your “maintenance calories” (number of calories you burn per day) when using calorie calculators. I would see using a calorie calculator as only step 1 in figuring out your maintenance calories. Based on how you progress with your calculated maintenance calories, you have to adjust your calorie intake. I’ll take you through all the necessary steps of figuring out your maintenance calories one-by-one with myself as the test subject. The Mifflin-St. Jeor equation is one of the most recent energy expenditure formulas. Because of this, it’s also considered one of the most accurate formulas. Let’s take me as an example. Once I’ve filled in the form, it says I need to consume around 2900 calories to maintain my weight. See the picture below. Note: With 5 strength training sessions, several in-person PT sessions, my activity is high. For most people, the activity will be lower. Now that we have an estimate of your maintenance calories, we could go straight into eating below this calorie level and probably expect some fat loss. But if you are specifically interested in figuring out your average daily energy expenditure, it usually can’t hurt to “test” your calculated maintenance calories for about 2 weeks and see whether you’ll truly maintain your body weight. For me, this would mean maintaining ~2900 calories per day for about 2 weeks and tracking my body weight (BW) development. I suggest weighing yourself every morning right after you wake up and visited the bathroom. You take all your weigh-ins of the week and calculate a weekly average. 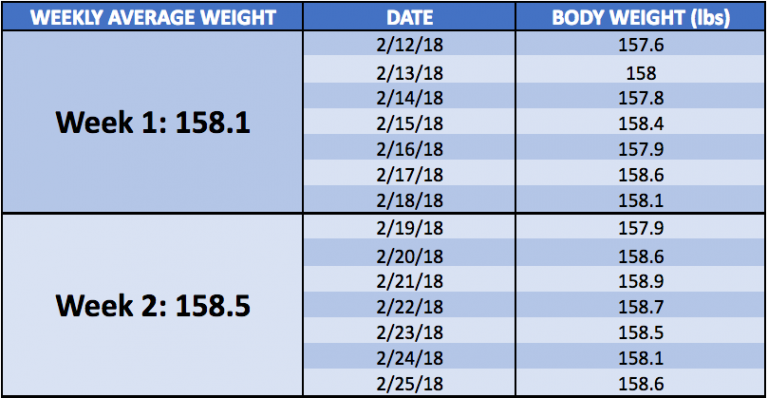 Then compare your weekly average body weight of week 1 and week 2. My calorie intake was within 2800-3000 calories on all the days. During your 2-week “test” period, I also suggest you do not deviate from your daily calorie target with more than 100 kcals up or down to get a good gauge of how your estimated maintenance calories affects your body weight. If your average weekly BW has remained mostly the same (<0.3 lb. BW change), your calculated maintenance calories are close enough to your daily energy expenditure. If there is a significant change in BW between your two averages (>0.3 lb. BW change), you generally need to make calorie adjustments. As a simple rule of thumb: Per 0.5 lb. change in BW, adjust your calories by 10%. This could be up or down. In my example, I gained about 0.4 lbs. in my weekly average BW measurement. For simplicity’s sake, we can round this up to a 0.5 lb. change. So I will need to lower my calories by 10% per day to maintain my body weight. This is pretty accurate. From experience, once I eat around 2600-2700 calories, I maintain my body weight. If you follow the exact same 3 steps described above, you will be able to get a good idea of how many calories you expend per day on average. Once you know how many calories you expend on an average day. You need to eat below this calorie level to lose fat (a.k.a. be in a calorie deficit). But how large should your calorie deficit be? Losing about 0.5-1% of total body weight per week is most effective for preserving muscle while losing fat at a good pace. An exception here is overweight or obese individuals. Weight loss rates up to 1.5-2% per week can be effective for these populations since they have more total fat to lose. Losing 0.5-1% of total BW in a week can generally be achieved by maintaining a daily calorie deficit of 20-25%. For obese populations that have more fat to lose (up to even a 40% daily calorie deficit) is also effective for muscle preservation and fat loss. 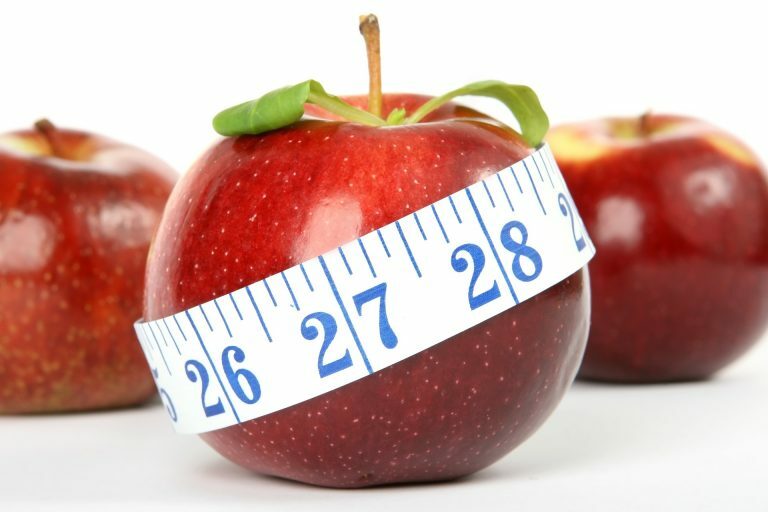 Now that you know how many calories you burn per day on average and have a good idea of your desired calorie deficit, we can calculate your fat loss calories. Once you’ve done this, you have a good idea of how many calories you burn on an average day and you can set your calorie deficit for fat loss. 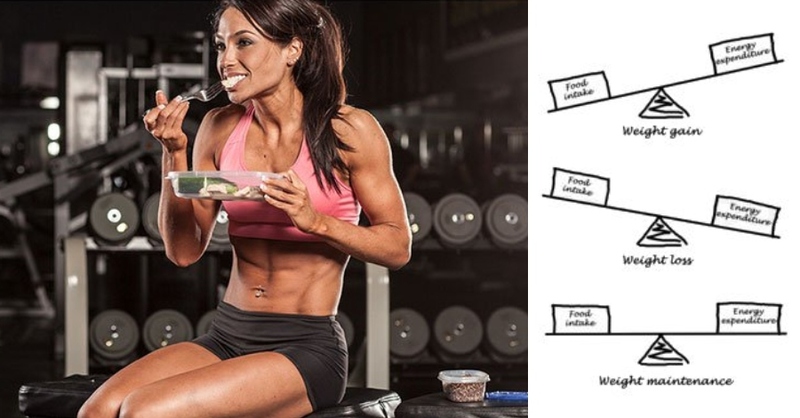 Your calorie intake is the most important variable when it comes to fat loss. So once you’ve got this right, you are well on your way to lose fat. But, of course, effective fat loss is more than just tracking calories.